This sub-penthouse residence is truly one of a kind. 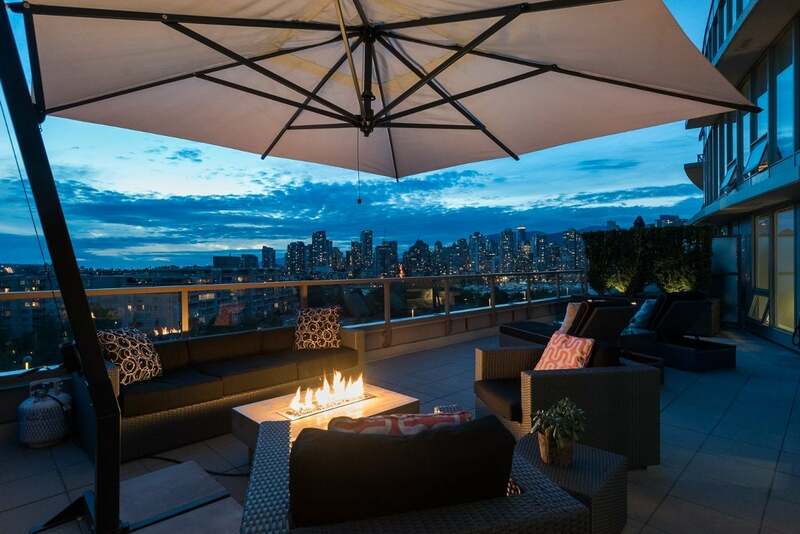 Enjoy heavenly sunsets with SW views of downtown & False Creek from your private, 583 sq.ft terrace with fire pit! Walk or bike to the many area amenities including Olympic Village, sea wall, downtown, Canada Line, Whole Foods etc. This corner home offers nearly 1150 sq.ft of combined indoor/outdoor living space and features a large custom kitchen with upgraded Liebherr refrigerator, Kitchen Island & pot lights, as well as new wide-plank flooring. Built 2012, this particular suite was originally a developer hold back because of its unique design. Incl 1 prime, full size parking and 2 storage lockers. Building features include concierge, professionally equipped gym & party room.